Tuesday 11th April saw the final day of play at the 2017 Australian & Cadet Open, and one name stood above others in the girls' singles events. 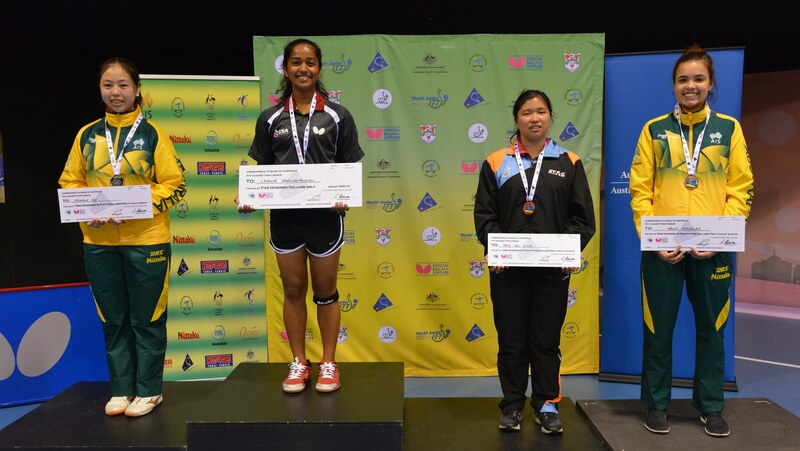 Despite a strong performance from Team Australia, it was the lone American Lavanya Maruthapandian that stole the show on the final day of play at the 2017 Australian & Cadet Open in Tweed Heads. 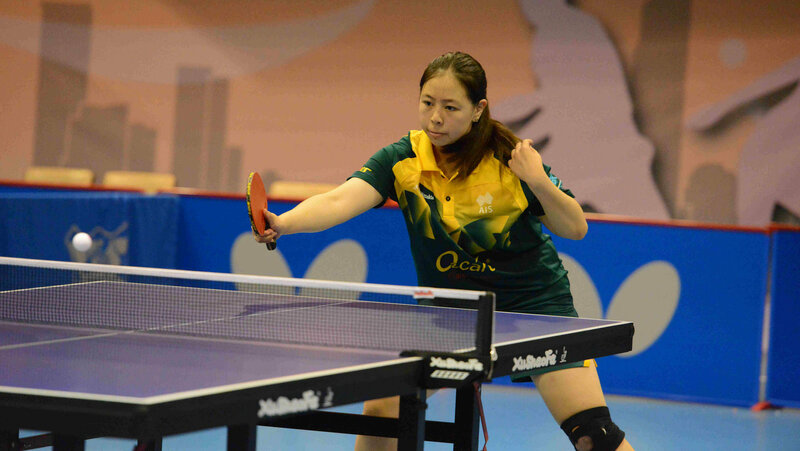 In the semi-final Maruthapandian cruised past Hui Ling Vong (NZL) in straight games. On the other side of the draw surprise finalist Michelle Wu (AUS) continued her good form. Wu had seen off the number two seed Holly Nicolas (AUS) in an epic seven game encounter, winning 13-11 in the final game. When the final came around it was déjá vu for Maruthapandian. She had suffered a scare in the quarter-final against Matilda Alexandersson (AUS) when the Aussie went ahead 1-3. However the American held her nerve and secured the win. Once again Maruthapandian had to overcome a 1-3 deficit when she went on to the court against Wu. But once again she was a comeback kid, taking the next three games and the title. The Cadet Girls’ singles was smoother sailing for Maruthapandian. As the only international entry in the event, the US athlete wasn’t intimidated by the Aussie contingent. In the final she was able to defeat the Australian National Junior Champion Angela Wang 3-0. Closer inspection of the scoreline however hints at a match that could have gone either way. Maruthapandian was able to scrape each game by the minimum margin; 12-10, 11-9, 11-9. With the win Maruthapandian secured double gold Down Under, leaving the Aussies looking for a silver lining to their second place finishes.